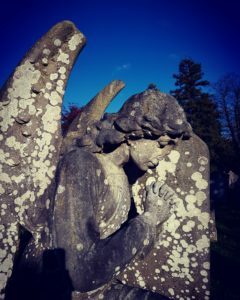 Local Sunday Times Bestselling author Ruth Hogan was inspired to write her second novel, THE WISDOM OF SALLY RED SHOES, whilst walking her rescue dogs in Foster Hill Road Cemetery. The cemetery is the setting for many scenes in the book and Ruth will be accompanying a walk led by Rowan Lennon, one of the Friends of Foster Hill Road Cemetery, exploring the graves and sites in the cemetery that are mentioned in her book. 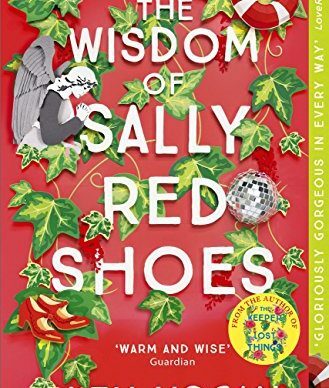 Ruth will also be doing a short reading and signing copies of THE WISDOM OF SALLY RED SHOES, which will be available to buy on the day. The price of the walk includes the lovely cup of tea and home made cake. Meet at the Chapel about 10 minutes before the start of the walk. **PLEASE NOTE: This is a ticket only event. ** Please register for this event using the button on the right.